To measure current, place the high power resistor in series with the motor and measure the voltage across the resistor. Then use Ohm's Law to determine the current. This way you won't risk blowing the meter fuse. What is the motor's resistance? 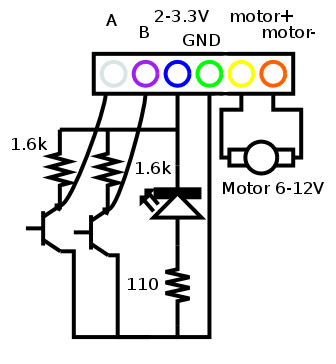 What current is required to start the motor? What voltage is required to start the motor? Did the ratio of voltage to current match the resistance you measured? Is this what you expected? 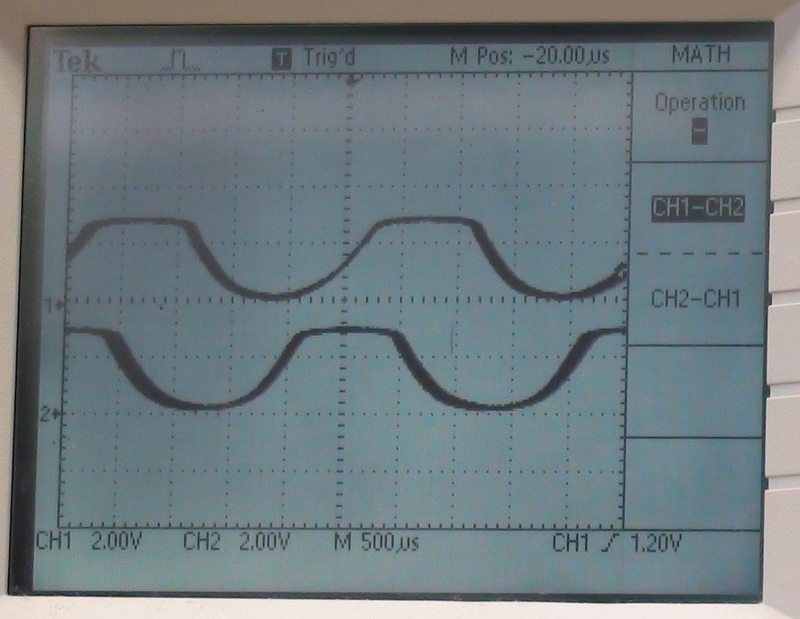 Observe the ac component of the voltage across the motor on an oscilloscope. What do you notice? Disconnect the motor from the voltage supply and observe the ac component of the voltage across the supply on the scope. Does it look different from when the motor was connected? If so, how? 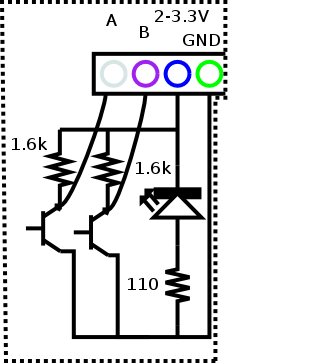 Reconnect the motor, but now put a reverse-biased diode across the motor, (i.e. in parallel with it), and observe the ac component of the voltage. How does it compare to the previous two situations? From now on, always use a diode across the motor coils. Demonstrate the effect of the Zener diode on noise. Normally, the current/voltage required to start the motor is different from the current/voltage required to keep the motor going. Decrease the current until the motor stops. 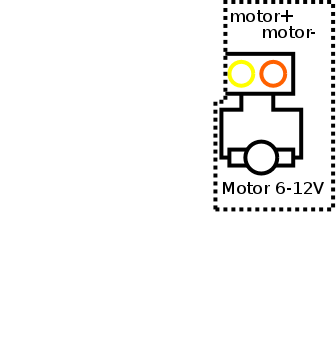 What current is required to keep the motor going? What voltage is required to keep the motor going? Now connect channels A and B of the the shaft encoder to the oscilloscope, using the 3.3V adapter for the supply. For a range of voltages, record the voltage and the frequency of shaft encoder pulses. Does the speed appear to vary linearly with the motor voltage? Sketch a graph of speed versus voltage in your lab notebook. Demonstrate the DC motor in operation, showing how speed depends on voltage.